The term ‘morbidly fascinating’ is one that we use often and apply to a great many things – both to people and to phenomena. It’s probably also the most succinct and suitable description available for four of our favourite museums. The Hunterian, the Morbid Anatomy Museum, Bodyworlds and the Museum of Mummies all tackle the issue of death in a different way – whether it’s in terms of preservation techniques, anatomy or artistic representation – and are some of the most interesting and perhaps controversial museums in the world. While many of the exhibitions may not be to everyone’s taste, they provide us with an opportunity to face death and to recognise the fact of human mortality in a visceral and unflinching manner, while often teaching us a great deal about the human body, societal attitudes towards death and our own ability to talk about the issue. Here we take a look at what makes each of the four museums worthy of a visit. Often referred to as ‘the weirdest museum in London’, The Hunterian is based in the Royal College of Surgeons near Holborn and contains a fascinating array of anatomical specimens. Centred around John Hunter’s large collection of skeletons, skulls, organs and diseased body parts, over the years the museum has expanded its collection to include surgical instruments and anatomy tables. It has developed a large and loyal following, most of whom appreciate the free entry and weird and wonderful exhibitions always on offer. 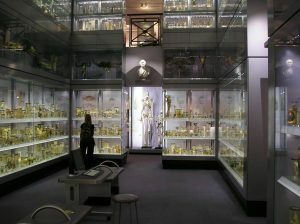 While it has its origins in the government purchase of the famous scientist and surgeon’s specimens in 1799, the Hunterian has made a number of important acquisitions over its lifetime, most notably in its odontological department and with Richard Owen’s natural history collections. It is home to the skeleton of the famous ‘Irish giant’ and the historically important Evelyn tables and the museum has committed to the development and renovation of the building in which it is housed. In May 2017, the Hunterian closed for a three year period in order to perform necessary repairs and modernisation works. It is scheduled to reopen in 2020. Find funeral directors in London. 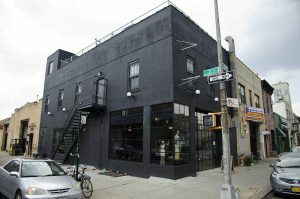 Located in Brooklyn, New York, the Morbid Anatomy Museum was the brainchild of Joanna Ebenstein and Tracy Hurley Martin, two individuals who discovered they shared a passion for the macabre and morbid and decided to act on it. While the idea was first realised as a blog and then a library, it finally became a fully-fledged museum space in 2014, complete with lecture space, café and shop. Dedicated to the strange and surreal, the museum houses a collection of death related curiosities and exhibits ranging from Victorian taxidermy and preserved insects to antique medical contraptions. The Morbid Anatomy Museum hosts regular death cafes. For more about death cafes, check out our piece. Though going to visit a museum exhibition curated by someone commonly referred to as ‘Dr. Death’ may not seem like everyone’s idea of a great day out, the Body Worlds permanent exhibition in Berlin’s Menschen Museum has attracted an incredible number of visitors over the last few years. The museum has attracted its fair share of controversy (it faced a court battle over the legality of its displays in 2014), but it has also become one of the most famous anatomical exhibitions ever, bringing enthusiasts to Berlin from all over the world. Consisting of 20 human bodies, each posed in a different position and performing various activities and tasks, Body Worlds is famous for the way each of these models has been skinned and preserved, revealing all of the internal detail we never get to see, from the capillary structure to the musculature. While not for the faint-hearted, Body Worlds provides us with a fascinating glimpse inside the human body, both in life and death. 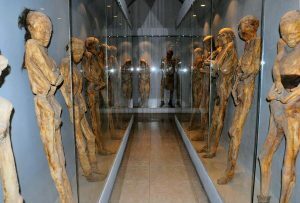 With over 100 mummified bodies on permanent display, the Museum of Mummies in Guanajuato, Mexico, is often labelled the most morbid museum in the world. While some minor embalming techniques were used to prepare the bodies, it’s actually the climate of the region that causes most of the mummification process, meaning the museum doesn’t have to go far to find its exhibits. In fact, nearly all of the mummies on display have been disinterred from the cemetery next to the museum and include a diverse array of individuals, including infants, Inquisition victims and criminals. Last week the BBC ran a program called A Time To Live. A wonderfully touching display of death positivity that’s at times bitterly heart-wrenching, and at others hilarious; it’s a program well worth watching, reminding us that there can be beauty and dignity in death and end of life. Bookending an hour-long exploration of what it means to live with a terminal illness, film maker and narrator Sue Bourne twice makes the suggestion that her film isn’t about dying at all, and is in fact primarily concerned with living. Although death plays a major role in the documentary, it’s a testament to those involved, both interviewer and interviewee, that her assertion rings true. 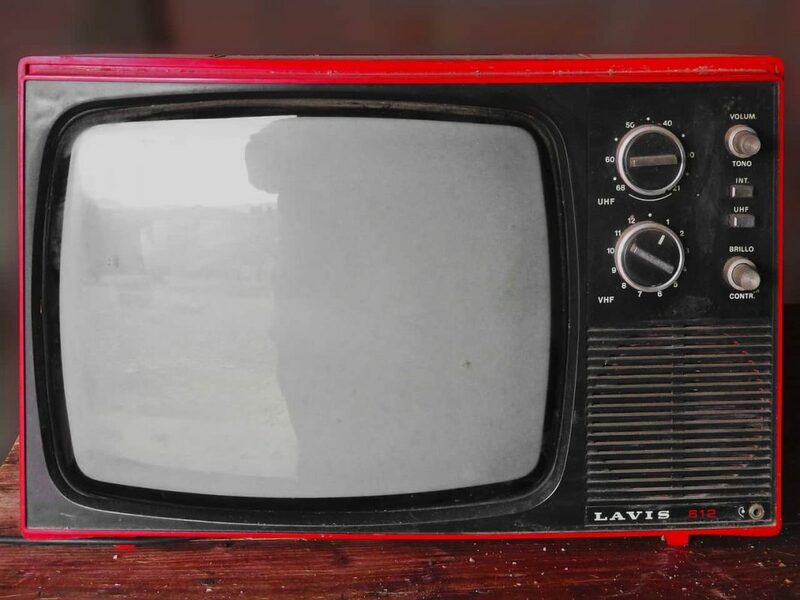 Watching A Time to Live, we reflected on how as human beings, we will respond to news of our imminent death in an almost infinite number of ways. Whereas our first interviewee, Fi, decided to return to work after her diagnosis, determined not to let her illness dictate how she lived the last months of her life, others retire early to spend time with their family, take time off to travel the world or turn to long distance running. Bourne is careful not to make any moral judgement about the decisions taken by the 12 participants and though the viewer is sometimes left feeling as though a particular individual’s response to the situation would be at odds with their own, each is presented in an understanding and sympathetic manner that leaves you stunned at how consistently humans respond to adversity with strength and dignity. The interviews are so dextrously handled that the program never feels voyeuristic, rather you are made to feel as though you have been invited into the front room of the subject. Many of the interviewees also offer a unique insight into some of the lesser discussed issues surrounding untimely death. There are segments concerned with topics like dying with regrets and the desire to make things right, with planning for the future of a family, with how you measure the worth of a life, and with how you choose to spend the remainder of your time. Throughout it all, the intensity of being confronted by one’s own mortality is a recurrent theme. For some, it’s the catalyst for drastic change, for others, it renders the world more significant and detailed, with every moment to be savoured. For everyone involved, it appears to require a radical reappraisal of what we think we know and the way in which we approach life. Discussing the subject with 12 participants highlights how necessarily different our coping mechanisms must be. A young twenty-something who hasn’t had a long life cannot process their mortality in the same way as a seventy-year-old who feels that they’ve made the most of their many years. Likewise, someone without children will have to deal with a very different type of grief and pain when compared to someone with a young family. 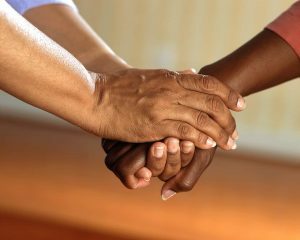 For some, faith provides a framework through which to understand their situation, while for others friendship or companionship prove invaluable. A Time to Live is a thoughtful and insightful exploration of how people continue to live and struggle, despite the end being close at hand. Some watching might find the program’s honest display of humour, sadness, joy, fear, positivity and strength to be a testing rollercoaster of emotions, but these will, by the end, all be surpassed by an overriding sense of awe at how capable human beings are of facing extreme hardship head on. With A Time To Live, Bourne has created a television show that provides us with an opportunity to understand what other people are feeling and coping with at the end of their lives, while also forcing us to take a long, hard look at our own attitudes towards life and death. From all of us here at Beyond, we’d like to offer our best wishes to the 12 individuals depicted and their families. A Time To Live is available on BBC iplayer until June 16th. If you are nearing the end of your life, you may wish to consider a funeral plan. This can ease the financial burden of a funeral, while also ensuring that your funeral will be as you want it to be. 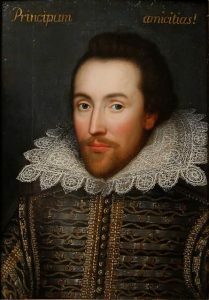 William Shakespeare is probably the most famous English writer in history, responsible for penning many of the most well-known poems, sonnets and plays in the English language. His writing continues to be appreciated some 400 years after his death. Though the true date of his birth remains a mystery, it is assumed to have been close to 23 April, the very same day on which he died. 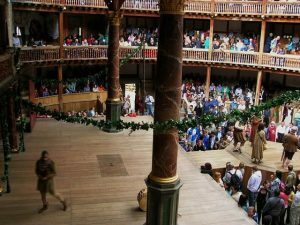 Shakespeare was perhaps best known for his dramas, which as one might expect are full of tragic deaths. By way of a celebration of his life and works, we’ve compiled a list of ten of his best quotes on death. As part of one of the most famous quotes in Julius Caesar, ‘cowards die many times’ makes a comparison between the many small, personal ‘deaths’ a coward faces every time they shy away from a challenge and the one pure and true physical death that the valiant experience in the heat of battle. Shakespeare often personified death and this is one of the most famous examples of him doing so. As Richard II hears that he has no soldiers to fight Henry, he immediately collapses into woe and despair, giving the audience a true indication of what kind of a king he is. Though Shakespeare often gave us profound insights into the effects or consequences of death, he was also well-known for his beautiful descriptions. This is the perfect example of such a description, with so much information and detail squeezed into a succinct and visceral phrasing. This short quote is the introduction to one of Shakespeare’s most famous soliloquies. It is followed by a long speech by the character Falstaff, who, contrary to the opinion of the character that speaks this quote, rallies against the futility of dying for an abstract ideal like honour. This line begins Sonnet 66, a poem devoted to the problems and inequities in Shakespeare’s time. In it, he adopts a world-weary tone that suggests he is tired with the inequality, untrustworthiness and treachery of his time and muses that death may be the only solution to his woes. In this quote, Hamlet is talking to himself, questioning whether it is better to die than to face his complex difficulties head on. However, he’s concerned that even in death, he will not be free from the dreams and the earthly problems that haunt him in life. As Richard III is a play about a man of questionable mental clarity murdering his own brother in order to become king, it’s no surprise that there’s a number of interesting quotes about death among its lines. This quote advises that young and clever men need be wary because the old will always consider them a threat. Cymbeline may not be one of Shakespeare’s most well-known works, but that doesn’t mean it has nothing profound or interesting to say to the modern reader. This quote comes in Act 5, Scene 5 and discusses the inevitability of death. Though a doctor may prolong life, eventually even they will pass away and nothing will stand in the way of death. This quote is spoken by the Duchess of York and relates to her two sons. Learning of the King’s death, the Duchess grieves the loss and laments the way death has corrupted both of her boys. Another one of Shakespeare’s less remembered works, Measure for Measure talks a great deal about death. This quote discusses the uncertainty surrounding death and our inability to ever know exactly what lies the other side of life.